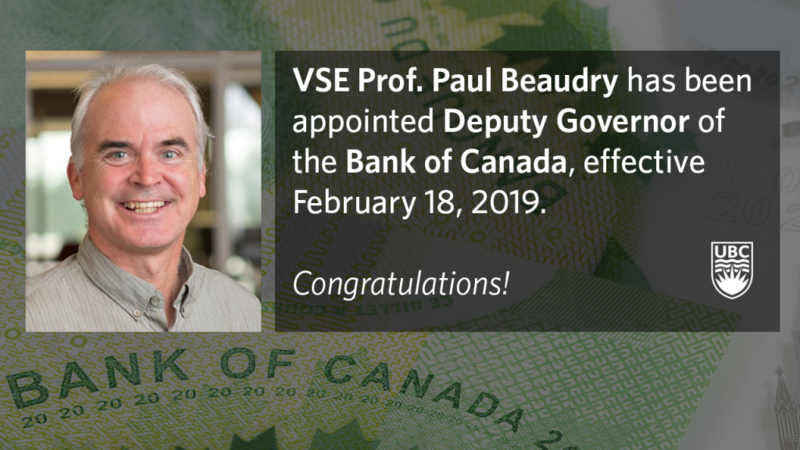 Vancouver School of Economics Professor Paul Beaudry has been named a Deputy Governor of the Bank of Canada, effective February 18, 2019, the bank’s Board of Directors announced today. Prof. Beaudry will be one of two deputy governors to oversee the Bank’s financial system activities. To learn more about the appointment, the result of an open search, click here.